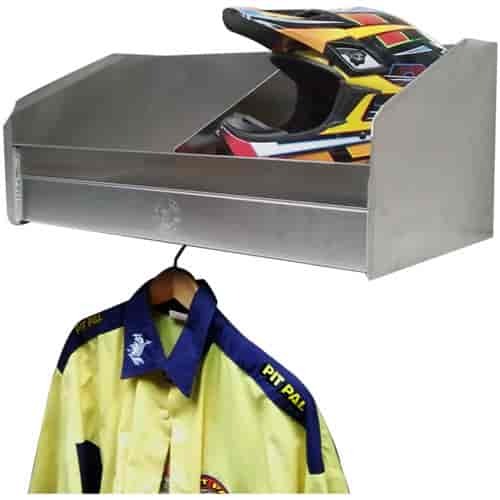 Pit Pal Safety Equipment Shelves provide a common area for all your race apparel: helmet, neck brace, driving jacket/pants, protective undergarments, gloves, and shoes. Available with one or two overhead bins, each aluminum shelf has a slotted fixture that's centered underneath to hang uniforms. In addition to the fixture, #777-331D has a bar to hang even more clothes.